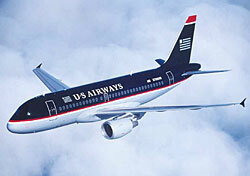 America West and US Airways merged in 2005, with CEO Doug Parker proclaiming, “The new US Airways combines our airlines’ proud heritage with our employees’ passionate commitment to provide our customers with friendly service and low fares. This is a great day for the employees of America West and US Airways as well as for the people in the hundreds of communities we serve.” Two years later, with mounting frustration amongst pilots, flight attendants, and mechanics, employees must question whether the merger really was a “great day” for them. In September, US Airways will receive a single operating certificate from the FAA, which will remove the final hurdle separating the two carriers. However, the airline is suffering from a culture clash between US Airways’ pilots in the North and Southeast and America West’s pilots based in the West. “For months, the two sides have been squabbling about seniority levels, with the East pilots contending that an arbitrator’s ruling in May treats them unfairly, slotting veteran pilots behind pilots at America West with less experience,” reports the Pittsburgh Post-Gazette. Amid disputes between the two sides, Parker pleaded that pilots “please do what you can to treat each other with respect … we will find a way through all this—let’s try to do so without creating wounds that will take a long time to heal.” A proposed contract, which would have moved all pilots to the higher America West pay scale was rejected by both sides. If negotiations between management and pilots are unsuccessful much longer, an impartial mediator may be hired. For all Parker’s boasting about the success of the merger for the past two years, it hasn’t been a smooth transition for employees or travelers. Employees and management at Delta, which fended off a hostile takeover bid by US Airways last year, must be relieved they avoided their own “great day” with US Airways.